My Phone System is Failing! What do I do? Every business with an analog phone system faces this question at some point. The first sign that something is wrong typically is that you are having difficulty securing replacement handsets or other components. The manufacturer has long since put that system on "end-of-life" and is looking for you to upgrade to their newer model. You're able to hold on for a while by finding parts on Ebay until your actual service vendor indicates that they will no longer be able to support your system, which really disturbs you because you've been spending a small fortune with them to keep the phone system alive! Does this sound familiar? We hear from businesses all the time who have been able to hold off on phone system replacement, but have been experiencing these end-of-life conditions and spending a lot of money and resources to avoid the replacement. The worst feeling is the fear that something catastrophic will happen to their system and they won't be able to get it back going again. Well, there is good news for you. Most businesses have or are moving to a Hosted VoIP service. What this means is that they will never have to worry about phone system replacement again! Moreover, because they are not actually buying a phone system to sit on-site and they are only purchasing the VoIP handsets, the cost to do this is much lower than purchasing a replacement system. It may even be less than the maintenance costs spent annually to keep your old phone system alive! How is this possible? 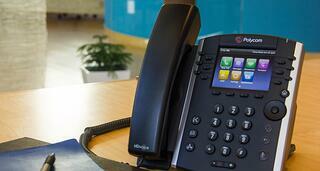 The Hosted VoIP provider is responsible for maintaining the phone system and keeping it state-of-the-art. Your business will receive the benefits of service enhancement and never have to monetarily fund or physically replace a phone system again. Your VoIP handsets should last years. At sipVine, we use Polycom or Cisco phones and we rarely have one go bad. If one is damaged, it can simply be replaced. If that model is no longer available, you would receive the upgraded model and it would work alongside your other phones without issue. There are not many areas of infrastructure investment where you are no longer concerned with obsolescence. When you begin your review of Hosted VoIP services, you will see a vast number of areas of improvement when compared to your old phone system. Providers may have different approaches, but you should be able to program you flow of calls and your auto attendant to better match the needs of your internal and external customers. You can create situations where your customers always get to the person or group they are looking for. 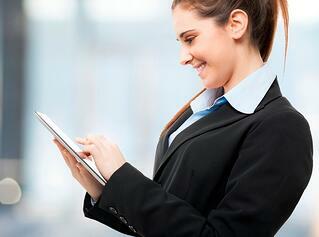 There are strong features surrounding mobility and virtual office locations. The general feature set is robust, providing small and medium-sized businesses with an enterprise level phone system. The bottom line is that you should be able to save money on the monthly service and the upfront purchase of the capital. You will become more efficient and improve your communications with your customers. And, you'll never have to search Ebay again for replacement parts! So, if your phone system is failing, contact a Hosted VoIP provider today!